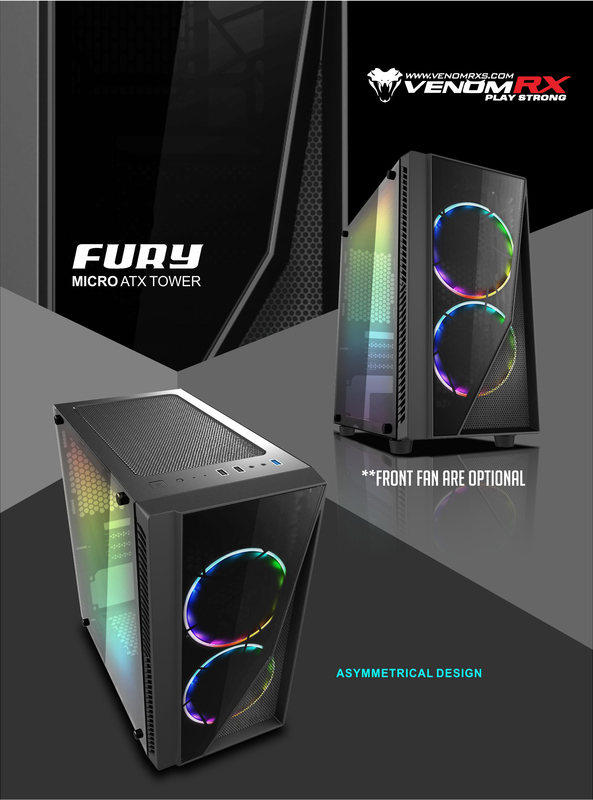 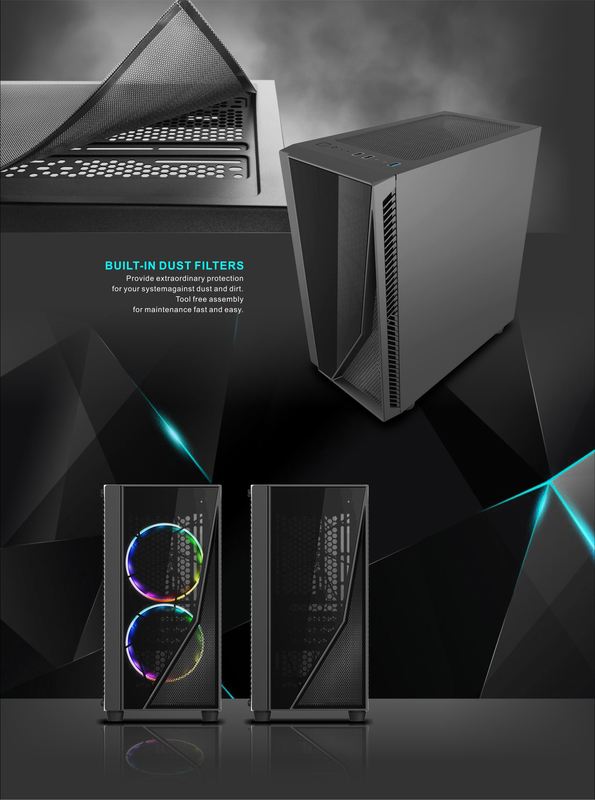 FURY is the mainstream ATX tower gaming case, it comes with FULL TEMPERED GLASS side window panel. 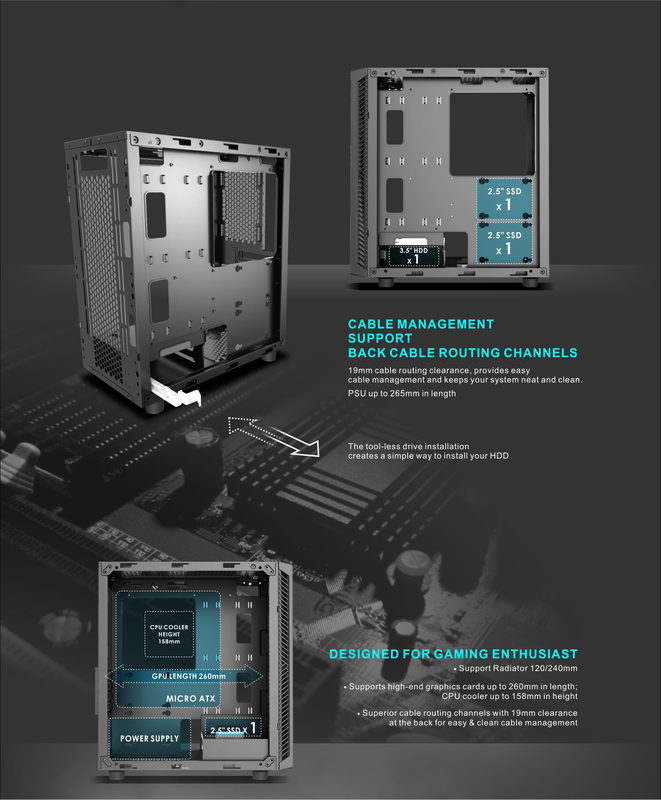 With safety in mind, the edges of FURY are all rolled to make sure there are no injuries while building the system. 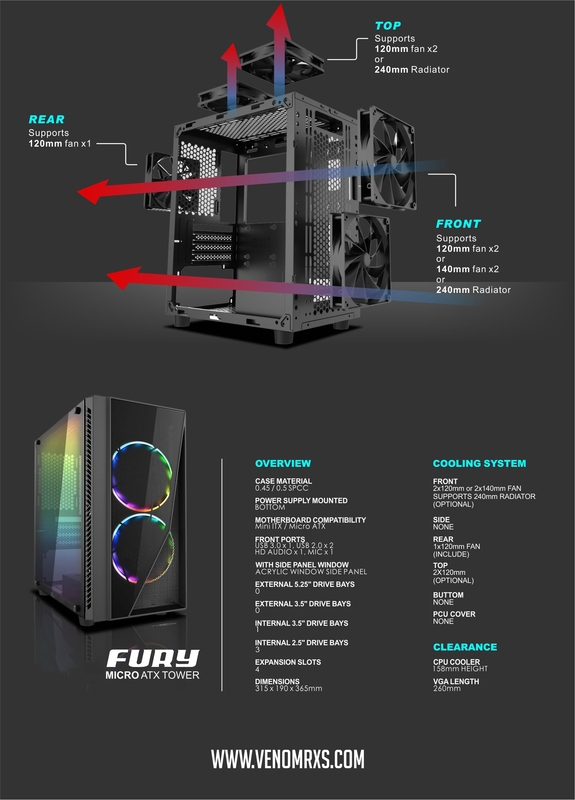 The FURY supports the following motherboard types: ATX, Micro ATX and Mini-ITX.